Travel sports teams are a great opportunity for young athletes to mix it up — many come from different schools and different backgrounds. Frequent practices and road trips around the state and region give these teammates special opportunities to bond, so take advantage with these fun team-building ideas. Slow down the pace and help teammates get to know each other with these conversation starters and activities that will make kids stop and think. You Sing, I Sing - Have teammates pair up and exchange favorite songs. At the next practice, have each teammate perform a verse of their partner’s favorite song to the team. Give a special treat for those who can name the song or identify whose favorite song it is! Silent Birthday Line Up - Set a time limit and have all teammates line up from youngest to oldest using only gestures to communicate. Increase the challenge by having each teammate memorize her neighbor’s birthday — down to the day. Guess Who - Have teammates pair up and exchange favorite players in the respective sport, and at the next practice, have each teammate find a fun fact about their partner’s favorite star. Present fun facts to the whole group and compete to see who can guess the most stars correctly. Logo Virtuoso - In pairs, have teammates use fabric markers to draw designs for the team logo on a plain white T-shirt. Compare with other groups and vote on the best logo. Winners get their T-shirt printed as the team’s official travel shirt for the year! Highs and Lows - In pairs, have teammates explain their “highs” and “lows” of the week. Then, gather the team together, and have each teammate describe his partner’s highs and lows. For older kids, have teammates think of ways to turn each “low” into a positive experience. You Know My Nickname - Form a circle with the team, and have each teammate choose a nickname. Pick a random start point and have the first person shout her nickname. Then in a clockwise motion, have the next teammate shout her own nickname and any shouted before. When someone makes a mistake, mix up the order and choose another random start point. Comparing Circles - Using chalk or ropes, create two large circles on the ground about 15 feet apart. Stand at the front of the two circles and say two comparison relationships. For instance: cat and dog or Nike and Adidas. Point to which circle corresponds to which idea. Have teammates walk to the circle they prefer and allow time for players to talk. Make this game more sports-centered by comparing sports rivals like UNC/Duke, Patriots/Giants, Lakers/Celtics, Alabama/Auburn, etc. Timed Name - Grab two long blankets and place each in front of two equal lines of teammates. Have the two lines face each other, but teammates at the front of each line will hold up the blankets to hide their identity. At the count of 1,2,3, both sides drop the blanket and the first to shout the name of the other teammate gains a point. Never Have I Ever - Prepare enough notecards to hand three to each teammate. Have each teammate write something different they’ve never done on each of the three notecards. Gather all the notecards, shuffle and redistribute. Each teammate must find someone else who has done the thing on the notecard, and write their name on the card. Finish before the timer ends. Your young athletes know how to break a sweat, but help them build trust and form relationships with these fun activities that will get the blood pumping. Captain Blindfold - Blindfold one of the coaches and have the team form a circle around him. Set a time limit and pass around a noisy object (such as a pot with pebbles in it) full circle without the coach being able to guess what it is. Fail this challenge? Come up with a “punishment” such as a suicide sprint on the field. Tricks and Hacks - For each practice, have a different teammate perform a special talent or unique trick for the group. Special points for those who can perform the most of these tricks at the end of the season! Bucket List - Grab a couple buckets filled with water to the brim, and have teammates form groups of four to five people. Place cones on the field of play (or go outside if you play an indoor sport). Blindfold the first member of each group and have her walk the route while holding the bucket, guided by her teammates’ commands. Perform a relay-style race and compete with other teams for the shortest overall time and the most water remaining in their bucket. Sit Up, Stand Up - Line up the whole team shortest to tallest. Pair up teammates on opposite sides of the spectrum – so the shortest player would team up with the tallest, the second shortest with the second tallest and so on. Have pairs sit down back to back with legs straight out. Lock arms, and work together to stand up. The fastest pair to complete wins! Dance Off - Have the team form a circle. Create a consistent rhythm using claps or stomps. Between each cycle of beat, have teammates take turns showing off their sweet dance styles — perhaps a sneak peek at a celebration dance. Cinderella’s Shoe - Have teammates pair up, and form a collective circle with the whole team. Blindfold one of the two teammates, and have the other throw a right shoe into the middle of the circle. Then, have the blindfolded teammate retrieve the shoe, using only their partner’s commands and tips. See which pair can do this fastest! Cats and Dogs - Find a nearby field, and draw three parallel lines: one for the cats, another for the dogs and a middle line. 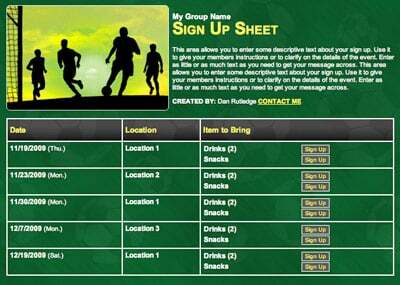 Divide the team into two groups and line both groups at the middle line. Flip a coin: heads = dogs and tails = cats. If the coin reveals “heads,” dogs chase and tag the cats. Once tagged, the cat becomes a dog. A cat is only safe once it reaches the cat line. After everyone is either tagged or safe, line up again at the middle line and flip the coin again. Play to get the blood flowing! Team road trips will provide lifelong memories. Pass the time, whether you’re driving or touring a tournament destination, with these ideas. Pictionary – Sports Edition - Grab a couple sheets of paper, and have a teammate draw a specific professional or college team without including the logo or name. Perform to the group or in pairs and compete for the fastest time! License Plate Race - Divide teammates into pairs, and have them shout out license plates that are not from the state they’re currently traveling in. Take this game one step further by also naming a professional sports team associated with each state’s license plate. Six Degrees of Separation - In a group, have teammates name two random actors or actresses. In six levels or less, try to relate the two stars. For example, in the context of Matt Damon and Anne Hathaway, Matt Damon was in The Fighter with Christian Bale, who was in Batman with Anne Hathaway. A short two levels! Bonus points if the movies are sports-related. Genius Tip: Check out this list of the best 25 sports movies. Jersey Worthy - Carefully cut a couple sheets of paper into about 30 rectangles. On each rectangle, write a random number between 1-99, and put them in a pile. Placing each piece of paper face down, reveal each one by one, and compete to see who can name a famous athlete’s jersey with the same number on each piece. Miniature H.O.R.S.E - In a circle, have one teammate say a sport-related word. The next teammate must follow with a word that begins with the last letter of the previous word. So, if teammate A says “football,” teammate B can say “lineman.” BUT If teammate C can think of a word faster than teammate B, teammate B earns a letter in H.O.R.S.E. Play until one winner remains. License Number and Registration, Please - Filter out a deck of cards with only cards 2 through 9. Distribute the cards evenly among teammates, face down. Have players take turns revealing a card and its corresponding number. The first player who can find that number — either on a license plate, sign, sticker, etc. — gets to keep that card. Play 10 rounds, and the player with the most cards wins! Questions, Answers - Give each teammate two index cards. On one card, write down five questions, and on the other card, write down the five answers to those questions. Divide the question and answer cards into separate piles and shuffle both decks. Have a teammate draw one question card and a different teammate draw an answer card, and pick the funniest question-answer combination. Scavenger Hunt - Use this idea if you have time to take in some sights around your tournament’s town. Rather than a physical object hunt, have teammates complete goofy objectives, such as taking a selfie in front of a monument or finding a building with only three trees in front. Compete in groups! Souvenir Gear - For each away game, assign a different teammate to either buy or find a small object unique to that location. Gather all “away game” items, and at the end of the season, have teammates guess which item belongs to which location. Travel sports teams can provide lasting friendships in addition to building skills on the playing field. 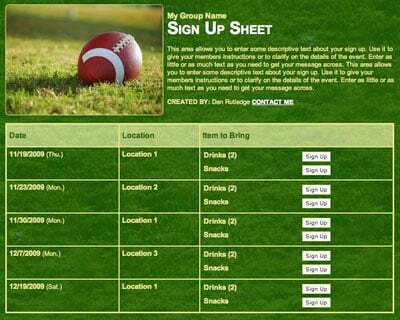 Emphasize character and team-building along the way, and you’re sure to have a winning season. 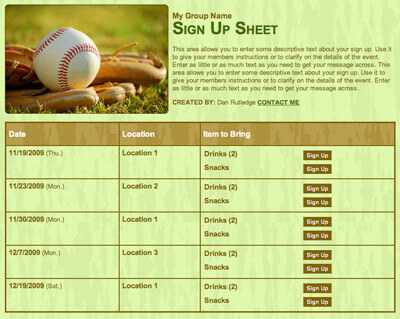 Plan an end-of-season potluck party with an online sign up.